Four of the world's tallest air traffic control (ATC) towers are located in Asia, while the United States of America (US) has three. Thailand has the tallest ATC tower in the world, followed by Malaysia, the US, Japan and China. 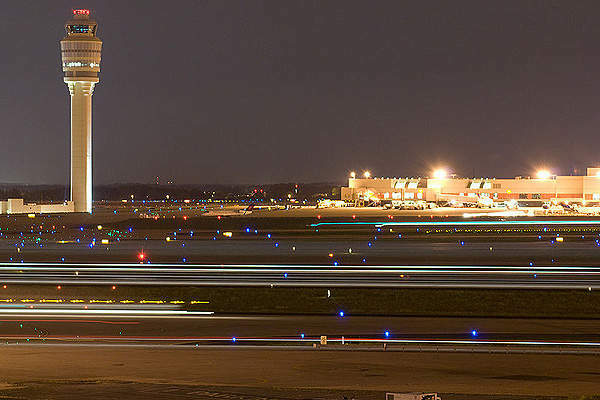 Airport-technology.com lists the 10 tallest ATC towers. Suvarnabhumi International Airport's air traffic control tower measuring 132.2m (434ft) high is the tallest ATC tower in the world. Image courtesy of Aero Icarus. The 130m (426ft) tall main control tower of Kuala Lumpur International Airport is the second tallest ATC tower in the world. The world’s third tallest ATC tower is in North America’s Hartsfield-Jackson Atlanta international airport. Image courtesy of Omoo. Haneda International Airport's new tower is 38m taller than the old tower. Image courtesy of David McKelvey. Image courtesy of Brücke-Osteuropa. The 110m / 361ft high ATC tower at Guangzhou Baiyun International Airport is the fifth tallest ATC tower in the world and the tallest ATC tower in China. Image courtesy of Brücke-Osteuropa. Abu Dhabi International Airport's new ATC tower comprises of a single 20 storey building. Image courtesy of Gert Mewes. 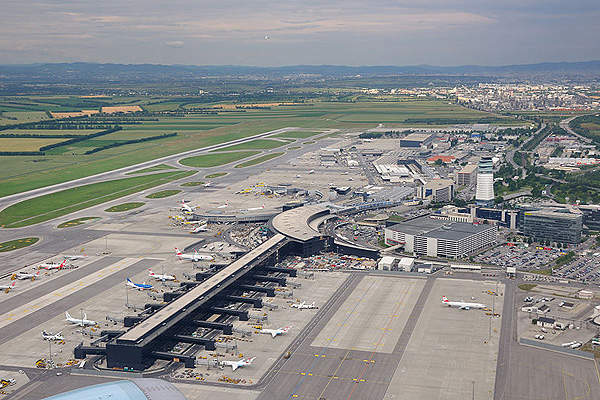 Vienna International Airport's 109m (358ft) high ATC Tower was designed by Zechner & Zechner. Image courtesy of Hansueli Krapf. 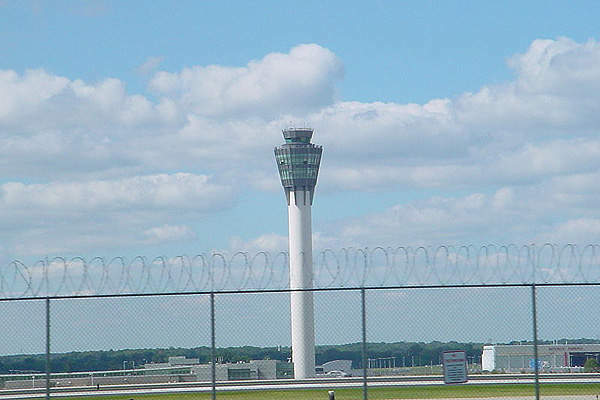 Indianapolis International Airport's 106.07m (348ft) high ATC tower is the ninth tallest ATC tower in the world and the second tallest in the United States. 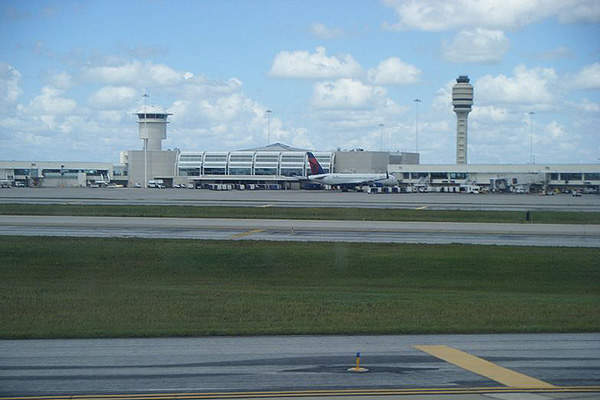 Orlando International Airport's new ATC tower is the tenth tallest ATC tower in the world. Suvarnabhumi International Airport or New Bangkok International Airport of Thailand, operated by Airports of Thailand, has the world’s tallest air traffic control (ATC) tower standing 132.2m (434ft). The airport handles about 76 flights per hour and has an east runway measuring 4,000m long and 60m wide and a west runway measuring 3,700m long and 60m wide. The ATC tower was developed by Siam Syntech-Unique Engineering consortium and Aeronautical Radio of Thailand (Aerothai). The tower construction was completed in 2005 with an investment of THB574.8m ($18m). Thales provided the technology and equipment for the tower. The controllers equipped in the tower get a 360 degree view of the 32.4km2 surface area of the airport. 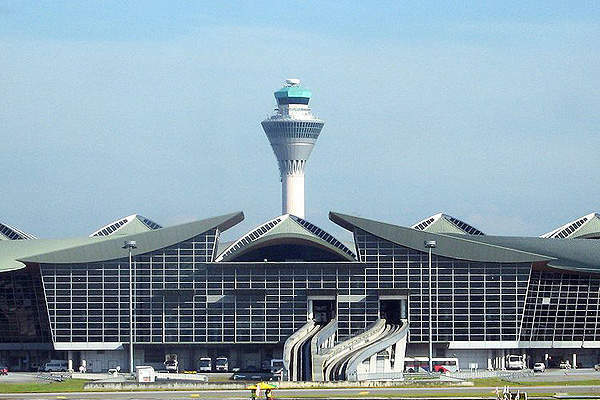 Kuala Lumpur International Airport located 50km to the capital city of Malaysia features a main ATC tower measuring 130m (426ft) high, the second tallest in the world. The ATC tower, shaped like an Olympic torch, enables the airport to handle 120 flights per hour. The ATC tower was commissioned in 1998 and the entire air traffic control system (ATCS) is operated by the Department of Civil Aviation (DCA), Ministry of Transport. The ATC office and other support services are positioned at the base of the tower. The entire length of the airport’s two parallel runways, measuring over 4,000m, is visible from the visual room of the ATC tower. The airport was designed by Kisho Kurokawa, and is owned by the Government of Malaysia and operated by Malaysia Airports Berhad. Hartsfield-Jackson Atlanta International Airport, the world’s busiest airport, features the third tallest ATC tower in the world and the tallest ATC tower in North America. The new ATC tower measuring 121.31m (398ft) was commissioned in 2006 supporting an average 2,500 arrivals and departures every day. The tower provides a clear view of the five parallel runways ranging from 9,000ft to 11,889ft in length, and the entire airfield. The tower was constructed with an investment of $44.2m, and houses an accompanying parking deck and meeting facilities. The construction was funded by the City of Atlanta ($39.4m), while $4.8m was provided by Federal Aviation Administration (FAA) to carry out installation of equipment, power systems, furniture, and workstations. Hensel Phelps was the construction contractor, while Alpha collaborated for the installation of spray fireproofing, deck coatings, joint sealants, and sheet membrane waterproofing systems. Haneda International Airport’s new ATC tower, which opened in January 2010, measures 115.7m (380ft) high making it the fourth tallest ATC tower in the world. The new tower is 38m taller than the old tower and was necessitated by the construction of the new 2,500m fourth runway located in Tokyo Bay, four kilometres from the old tower. The new tower, constructed with an investment of approximately seven billion yen ($80m), incorporated the latest anti-tremor technology to make it earthquake resistant and to avoid swaying caused by strong winds. The control room of the tower is designed with no pillars. The new tower has enabled the terminal radar control system to be centralised at Haneda; it was previously operated separately by Narita Haneda airports. The old tower now serves as an emergency back-up tower. 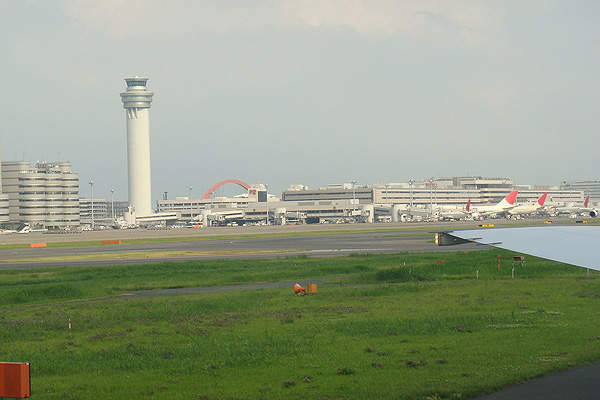 The airport is operated by Tokyo Aviation Bureau, Ministry of Land Infrastructure and Transport (airfield), and Japan Airport Terminal. 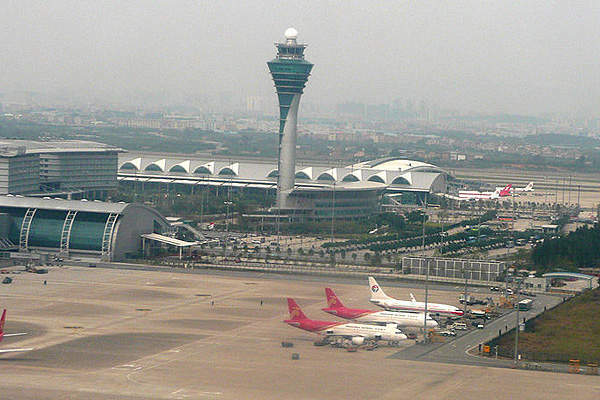 Southern China’s Guangzhou Baiyun International Airport has the fifth tallest ATC tower in the world. At 110m (361ft), the ATC tower is also the tallest in China. The tower provides view of the entire 15km2 area of the Southern Chinese airport. The tower has a gross floor area of 10,100m2 and was constructed with an investment of SGD 11m ($8.769m). 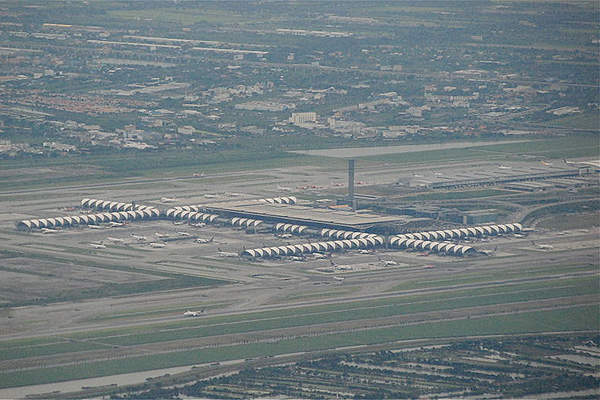 The construction was completed in 2003, prior to the opening of the airport in August 2004. Design and engineering of the tower were carried out by CPG Consultants. URS Greiner Woodward Clyde & Parsons Corporation was the main construction contractor of the airport. The airport features two runways and serves as a main hub for China Southern Airlines. Guangzhou Baiyun International Airport Company is the airport operator. 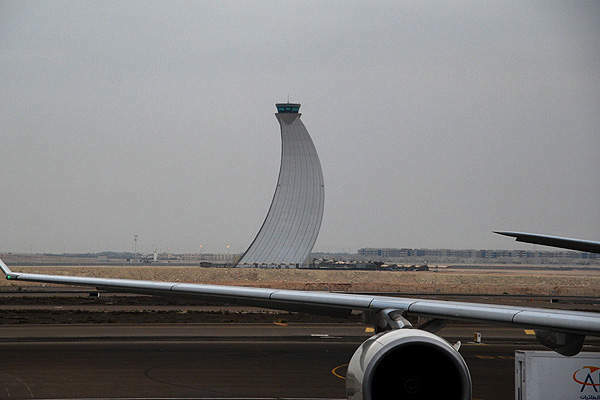 Cairo International Airport commissioned the world’s sixth tallest ATC tower at 110m (361ft) height in November 2010 to further meet the requirement of anticipated future traffic development. The control tower cab covers an area of about 85m2 and the technical services area covers an area of 3,000m2. The airport is located about 15km from the heart of the city’s business area and is administered by Egyptian Holding Company for Airports and Air Navigation. The ATC was constructed to serve the third runway parallel to the two existing runways at the airport. Orascom acted as the main contractor for the tower construction, while OCI Construction Group carried out the construction works under a subcontract and ACAMS provided the tower solutions. ADPi, a subsidiary of Aéroports de Paris, provided the tower design and Thales provided the air traffic control systems. The world’s seventh tallest ATC tower measuring 109m (358ft) high is located at Abu Dhabi International Airport. The tower, consisting of a 20-storey building, is located between the two existing runways and covers a surface area of 7,000m2. The tower, featuring eight posts for air control and 12 for ground control, was constructed in 2011 as part of the larger expansion program managed by Parsons to increase the airport’s capacity to 27 million passengers per annum by 2017 and to 40 million by 2030. The structural design was provided by Terrell and the construction management contract was awarded to ADPi. The control systems, provided by Thales, integrate Thales EUROCAT system featuring multi-sensor tracking system (MSTS) and air traffic management systems. Vienna International Airport’s 109m (358ft) high ATC Tower is located at the main entrance of the airport and covers a total surface area of 3,300m2. The tower was constructed with a combined pile-plate foundation and the main structure entirely consists of reinforced concrete. The six storey base of the tower houses the air traffic control centre. The main control tower at the top is angled at approximately 45 degrees to provide a clear view of the two runways. The mid section of the tower is comprised of a shaft covered by Polytetrafluoroethylene (PTFE) membrane, which can be used for projecting information, advertising, and artwork. The tower was designed by Zechner & Zechner, while Thomas Lorenz , Peter Mandl, formTL, Lorenz Consult and Dr. Pfeiler were other project partners. The geotechnical and hydrogeological consulting works were carried out by BGG Consult. The world’s ninth tallest ATC tower, located at Indianapolis International Airport, was opened in 2006 and stands 106.07m (348ft) high. The tower, built at a cost of $32m, is also the second tallest in the United States. A joint venture of Hunt Construction Group and Smoot Aviation Contractors built the tower. The tower has a 28ft diameter shaft, 18in thick concrete walls, and a cab accommodating nine air traffic controller positions. Glass window panels used for the tower are joined using silicone sealant and are free of exterior columns and window mullions, providing 360° view of the airport. The airport comprises of two parallel runways and a crosswind runway, and is owned and operated by Indianapolis Airport Authority. The new ATC tower of Orlando International Airport is the tenth tallest ATC tower in the world and the third tallest in the US. The 105.16m (345ft) high tower started operations in September 2002 and is 126ft taller than the old tower it replaced. The tower was constructed by Federal Aviation Administration (FAA) at a cost of $28.7m and was funded by Greater Orlando Aviation Authority. Hensel Phelps carried out the construction, MET-CON provided structural and miscellaneous steel fabrication and erection works. The 1,087m2 base building of the tower accommodates electronic systems and administrative offices. Florida Industrial Electric was responsible for installation of the electrical, power and controls for the tower. The airport is owned and operated by Greater Orlando Aviation Authority (GOAA), and handles 802 flight operations a day including arrivals and departures. Airport-technology.com lists the ten busiest airports in the UK based on passenger traffic in the first eight months of 2013. China has breathtakingly high airports, hosting eight of the 10 highest altitude airports in the world, including the world’s highest Daocheng Yading Airport 4,411m above sea level.